Intellectual Property Rights (IPR) protection plays a key role in gaining an advantageous position in the competitive technology game for achieving economic growth. Karnataka enjoys large scientific human resources in India with state of the art research and technology centres and scientific establishments in the country. Bangalore, the capital of the state of Karnataka is an acclaimed information technology centre of the world repute. Thus information on various technological advancements should be disseminated to the users of technology in order for our country to develop faster. Thus a culture to make aware of development of technology to pertinent users is essential. This has become more pronounced in the globalised economy with international agreements and obligations in the fields of IPR in the WTO regime. Huge information is to be provided while filing a patent application in order to ensure full disclosure of the invention. Thus, the patent information provides the large single source of technical information in the world today. However, access to this information and other facilities related to IPR are really inadequately available in the academic and other institutions in India. As a first step in this direction to provide patent related services particularly to the S&T community, Patent Facilitation Centre started functioning under Technology Information, Forecasting and Assessment Council of Department of Science and Technology, Government of India - a few years back. 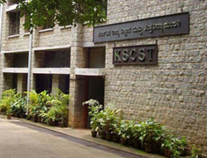 As a state level extension patent information centre was set up at Karnataka State Council for Science and Technology, Indian Institute of Science, Bangalore for Karnataka State. The centre started functioning from 31st of March 2005 as a service centre to render IPR related services among S & T community. Intellectual property is a "Product of Mind". It is similar to the property consisting of movable and immovable property which can be used by the owner along and not lawfully by others without owners permission. World Intellectual Property Organization (WIPO) provides that "Intellectual Property" includes rights related to works in literary and artistic fields, performance of artists, broadcasts (in the form of CD, DVD, tape recording etc), innovations in science and technology, industrial designs, trade marks, service marks, etc. Inventions in all fields of human endeavour and protection against unfair competition and all other rights resulting from intellectual activity in the industrial, scientific or artistic fields. 1. Patents : Patent is an exclusive right granted by a country to the owner of an innovation to make, use, manufacture and market the invention, provided the innovation satisfies certain criteria - like having novelty, inventive step and industrial application (please refer FAQs about Patents). 2. Copyrights : Copyright is a right granted to the owner for creating an original literary or dramatic or musical or artistic work. Cinematographic films including sound track and video films and recordings on discs, tapes etc are also covered by copyrights. Computer programs and software are covered under literary works and are protected in India under copyrights. 3. Trademarks : Trademark is a distinctive sign, which identifies certain goods or services as those produced or provided by a specific person or enterprise. Trademarks may be one or combination of words, letters, and numerals and may also consist of drawings, symbols, two / three dimensional signs or colours, used as distinguishing feature. 4. Industrial design : Industrial Design means the features of shape, configuration, pattern, ornament or composition of lines or colours applied to any article by any industrial or manual process or means and which are judged solely by the perception of the eye. 5. Geographical indications : Geographical Indications (GI) means an indication which identifies certain agricultural or natural or manufactured goods as originating or manufactured in the territory of a country, or a region or locality in that territory, where a given quality, reputation or other characteristics of such goods is essentially attributable to its geographical origin. 6. Layout design of integrated circuits : Layout Design of Integrated Circuit includes a layout of transistors and other circuitry elements and includes lead wires connecting such elements and expressed in any manner in a semiconductor integrated circuit (IC), designed to perform an electronic circuitry function. 7. Trade secrets : Trade Secret, also referred as undisclosed information, includes formula, pattern, compilation, programme, device, method, technique or process. It is perhaps the most important form of protection for industries and R&D institutions. 8. Plant variety protection : Plant Variety Protection and Farmer's Rights (PVPFR) is a system for protection of plant varieties, the rights of farmers and plant breeders and to encourage the development of new varieties of plants. Criteria for protection a new plant variety are distinctness, uniformity, stability, novelty and appropriate denomination (generic designation). The owner of such intellectual property can make use of the property for commercial exploitation and also can prohibit infringement by others. This plays a key role in gaining advantageous position in these days of competition for technological development and consequent economic growth of the country. This has become more pronounced in present day global economy with so many international agreements and obligations in the field of IPR in the World Trade Organisation (WTO) regime. To create awareness about IPRs, especially patents, in the state and neighboring regions of this centre. To guide inventors in respect of patenting their inventions. Introduce IP Awareness in Schools. As a first step towards achieving these objectives, KSCST, with the support of TIFAC, Department of Science and Technology, New Delhi intends to conduct "Patent Awareness Programmes" at some regional centres to cover the entire state. The main objective of these programmes is to make technocrats, academicians and industry aware of patents and patenting system, other forms of IPRs like copyrights, trademarks etc, relevant procedures and implications of such act of holding IPRs. It is intended that the participants for these programmes are to include people from industry, students and faculty from universities, medical, engineering and agricultural colleges, polytechnics, research institutions, other innovators in and around these regional centres and neighbouring districts. During the year 2015-16, Patent Information Centre has received 40 queries and 5 patent applications have been filed and one design application is registered. The applicants include individual innovators and students and faculty members from engineering colleges. A Book on "Geographical Indications - Karnataka" was released on 20th of August 2015 at the 38th Student Project Program (SPP) at Sahyadri College of Engineering, Mangalore. 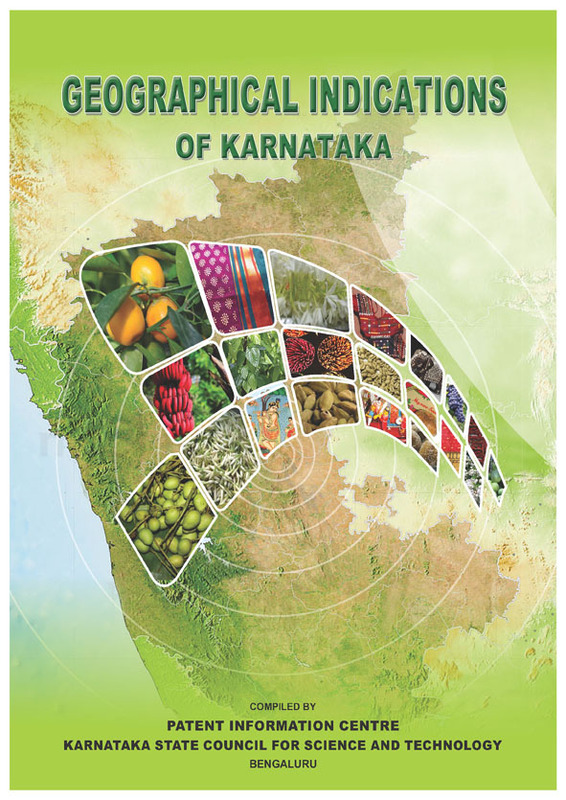 This book is a compilation of information on Geographical Indications (GI) filed by applicants from Karnataka.